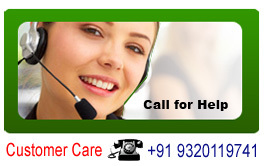 Welcome to SUBBIES HERBO CARE a house of non invasive solutions for Coronary Artery Disease. Now anyone can avoid heart attack or heart surgery with Ayurvedic medicine HRudved. Today the Cost of Heart Bypass Surgery in India is not affordable to general public. so Subbies Herbo Care has developed the Herbal medicine for the Heart Attack. 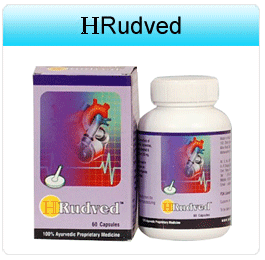 "HRudved" is developed to Prevent Heart attack / Heart Surgery / Coronary Artery Disease. The term Ayurveda means 'Science of Life'. This probably makes it the earliest medical science having a positive concept of health to be achieved through a blending of physical, mental, social, moral and spiritual welfare. Ayurveda is one of the oldest systems of health care dealing with both the preventive and curative aspects of life in a most comprehensive way and presents a close similarity to the WHO's concept of health propounded in the modern era. 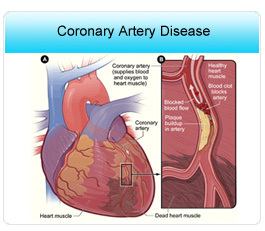 A heart patient may be having many blockages in the artery ranging from 5% to 100%. If the pumping capacity of the heart is normal, the patient can live healthy with suitable medication. 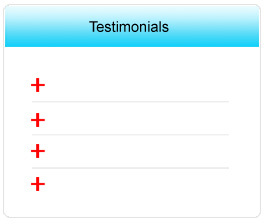 Hrudved was developed based on the Tridosha principals of Ayurveda. In Ayurveda, there are herbal ingredients capable of dissolving the blockage caused due to deposition of plaque or cholesterol. When these blockages are dissolved, the pumping capacity ( Ejection Fraction ) of the heart improves. Heart is God's creation. When one artery is blocked, a new artery opens which is known as collateral artery. This ensures improved blood supply to the heart. When the Ejection Fraction (EF%) is improved, it is the indication that either the blockages have dissolved or collateral arteries have opened up and pumping capacity has improved. We suggest our patients to go for 2D Echo cardiogram with Color Doppler test which is more economical in comparison with expensive Angiogram test. 2D Echo is a non invasive test, less time consuming. Angiogram is an invasive test, more time consuming and the patient has to be administered anesthesia for conducting angiogram. If the patient is diabetic, then Insulin has to be administered to bring down the sugar level prior to the angiogram test. Of late, most of the hospitals and diagnostic centers have stopped mentioning the LVEF% or EF% in their Angiogram report. They just hand over the CD to the patient. In this process, the patient has no option to take his own decision. 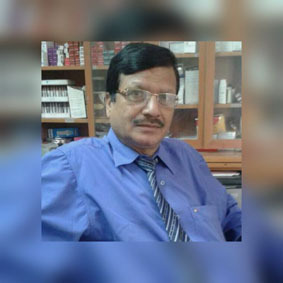 Dr.Mahesh M. Dabral is an practicing Ayurvedic Physician in Mumbai having about four decades experience. He is having special interest in treating chronic diseases such as Coronary Artery Disease, Diabetes, Cancer, Liver Cirrhosis, Kidney failure, IBS and many more chronic diseases.